We can arrange for one of our team to visit your premises to take measurements and discuss a Glass Curtains installation with you. Alternatively, if you prefer you can provide us with your measurements over the phone or by email. Once a tentative quote has been accepted, a Site Survey is carried out by our installer at a cost which is refunded when an order is placed. The installer takes accurate measurements and surveys the site for appropriate installation fixings. Our installer will also confirm if additional materials are necessary. If the track is to be sunk into the ground, this will also be discussed. A confirmed quotation or invoice will be sent to you. This will show necessary additional materials and associated costs. We will request a deposit of 50% to place an order. Once your deposit is received, your Glass Curtains are ordered and we estimate your Glass Curtains will be installed within 6 to 8 weeks. We will agree a mutually convenient installation date with you and give you an idea how many days the installation is likely to take to complete. The actual installation is quiet, and our installers will clean the site on completion of the job. The individual areas of expertise of each member of our Glass Curtains team ensures that the highest attention to detail is carried out through the manufacturing, assembly and installation processes. Our installers will likely arrive between 7 and 7.30am to start. They will start by installing the tracks. A typical installation day can be longer than a standard 8-hour day. Once our installers get going they don’t want to stop until they reach a certain point. The Glass Panels are usually delivered around mid-morning on the 1st day of installation. Our installer will show you how to use your Glass Curtains and you can ask any questions or queries at that time. We pride ourselves on our after sales service so please know that we are only a phone call or an email away should you want to talk to us. You will be required to pay a 25% interim payment on the day your Glass Curtains are delivered. If it is estimated that your Glass Curtains will be installed in one day, the 50% remaining balance will be due on this day instead. 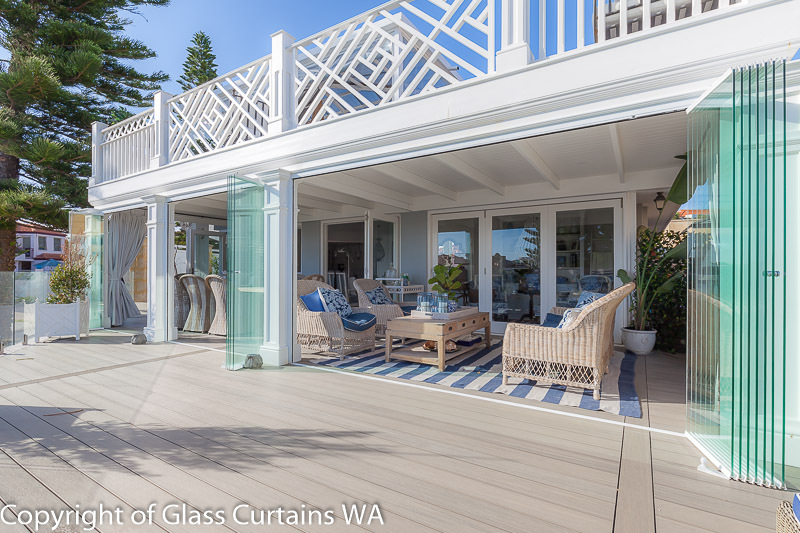 If the installation is likely to take more than one day, a 25% interim payment is required when your Glass Curtains are delivered and the final 25% balance will be due on the day your Glass Curtains installation is completed. We stand by our product and service. and a 12 months installation warranty. We want to know that you’re 100% satisfied. If you’re not totally satisfied, we will act to resolve this!